User interfaces and user experience design is a fast moving field. It’s something that changes pretty quick: what feels fresh today will look outdated tomorrow. I remember the day I first got a beta version of Windows 95 and I felt swept away by the user interface of the OS. It felt so modern! If I look back now, it feels old. Well, it should: the design is 17 years old which is an eternity in our field. Of course, this is not limited to UI. Same goes for many industries. I want you to think back of the cars that amazed you when you were in your teens (if you are in your teens then this may not apply to you). Didn’t they feel like part of the future? Didn’t you think that this was the ultimate in designs? And aren’t those designs hopelessly outdated today (again, depending on your age, it may just be me)? There are so many differences here, I wouldn’t even know where to start explaining them. 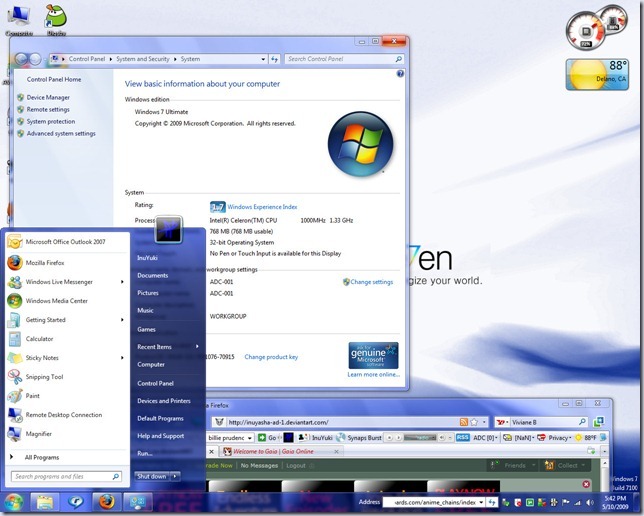 The general feeling however is one of more usability: studies have shown Windows 7 is much easier to understand for new users than the older versions of Windows did. Of course, experienced Windows users didn’t like it: people are usually afraid of changes and like to stick to what they know. But for new users this was a huge improvement. And that is what UX design is all about: make a product easier to use, with less training required and make users feel more productive. Still, there are areas where this doesn’t hold up. There are plenty examples of designs from the past that are still fresh today. But if you look closely at them, you’ll notice some subtle differences. This differences are what keep the designs fresh. A good example is the signs you’ll find on the road. They haven’t changed much over the years (otherwise people wouldn’t recognize them anymore) but they have been changing gradually to reflect changes in traffic. The same goes for computer interfaces. With each new product or version of a product, the UI and UX is changed gradually. Every now and then however, a bigger change is needed. Just think about the introduction of the Ribbon in Microsoft Office 2007: the whole UI was redesigned. A lot of old users (not in age, but in times of using older versions) didn’t like it a bit, but new users or casual users seem to be more efficient using the product. Which, of course, is exactly the reason behind the changes. I believe that a big engine behind the changes in User Experience design has been the web. In the old days (i.e. before the explosion of the internet) user interface design in Windows applications was limited to choosing the margins between your battleship gray buttons. When the web came along, and especially the web 2.0 where the browsers started to act more and more as application platforms, designers stepped in and made a huge impact. In the browser, they could do whatever they wanted. In the beginning this was limited to the darn blink tag but gradually people really started to think about UX. Even more so: the design of the UI and the whole experience was taken away from the developers and put into the hands of people who knew what they were doing: UX designers. This caused some problems. Everyone who has done a web project in the early 2000’s must have had the same experience: the designers give you a set of Photoshop files and tell you to translate it to HTML. Which, of course, is very hard to do. However, with new tooling and new standards this became much easier. The latest version of HTML and CSS has taken the responsibility for the design away from the developers and placed them in the capable hands of the designers. And that’s where that responsibility belongs, after all, I don’t want a designer to muck around in my c# code just as much as he or she doesn’t want me to poke in the sites style definitions. This change in responsibilities resulted in good looking but more important: better thought out user interfaces in websites. And when websites became more and more interactive, people started to expect the same sort of look and feel from their desktop applications. But that didn’t really happen. 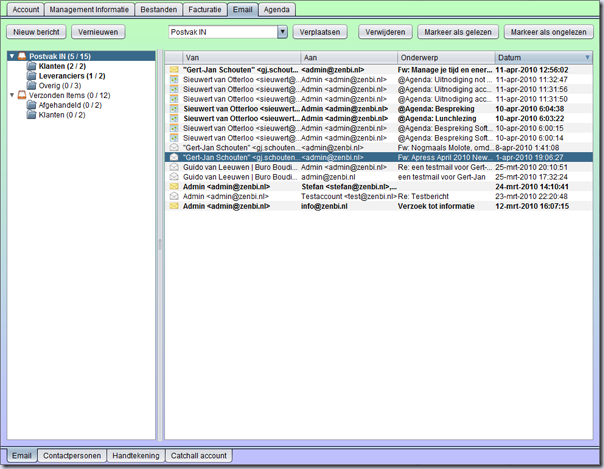 Most business applications still have that battleship gray look and feel. Ok, they may use a different color but we’re not talking colors here but usability. Now, you may not be able to read the Dutch captions, but even if you did you wouldn’t understand what was going on. At least, not when you first see it. You have to scan the screen, read all the labels, see how they are related to the other elements on the screen and then figure out what they do. If you’re an experienced user of this application however, this might be a good thing: you know what to do and you get all the information you need in one single screen. But for most applications this isn’t the case. A lot of people only use their computer for a limited time a day (a weird concept for me, but it happens) and need it to get something done and then get on with their lives. For them, a user interface experience like the above isn’t working. (disclaimer: I just picked a screenshot, I am not saying this is bad software but it is an example of about 95% of the Windows applications out there). For the knowledge worker, this isn’t a problem. They use one or two systems and they know exactly what they need to do to achieve their goal. They don’t want any clutter on their screen that distracts them from their task, they just want to be as efficient as possible. When they know the systems they are very productive. The point is, how long does it take to become productive? And: could they be even more productive if the UX was better? Are there things missing that they don’t know about? Are there better ways to achieve what they want to achieve? Also: could a system be designed in such a way that it is not only much more easy to work with but also less tiring? in the example above you need to switch between the keyboard and mouse a lot, something that we now know can be very tiring. The goal of most applications (being client apps or websites on any kind of device) is to provide information. Information is data that when given to the right people, on the right time, in the right place and when it is correct adds value for that person (please, remember that definition: I still hear the statement “the information was wrong” which doesn’t make sense: data can be wrong, information cannot be). So if a system provides data, how can we make sure the chances of becoming information is as high as possible? On the left you see the iTunes screenshot, on the right the Zune. As you notice, the Zune screen has more images but less chrome (chrome being visuals not part of the data you want to show, i.e. edges around buttons). The whole thing is text oriented or image oriented, where that text or image is part of the information you need. What is important is big, what’s less important is smaller. Yet, everything you need to know at that point is present and your attention is drawn immediately to what you’re trying to achieve: information about music. You can easily switch between the content on your machine and content on your Zune player but clicking on the image of the player. But if you didn’t know that, you’d find out soon enough: the whole UX is designed in such a way that it invites you to play around. So sooner or later (probably sooner) you’d click on that image and you would see what it does. 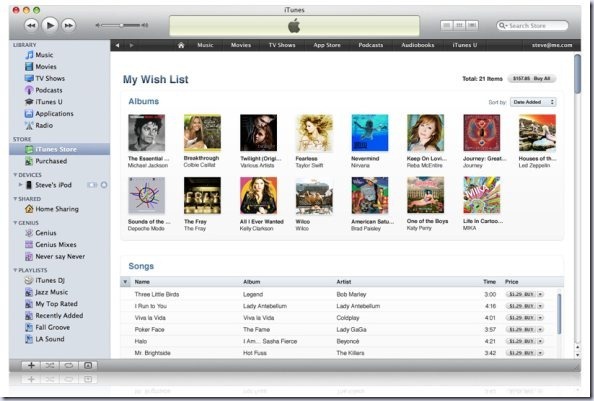 In the iTunes version it’s harder to find: the discoverability is a lot lower. For inexperienced people the Zune player feels much more natural than the iTunes player, and they get up to speed a lot faster. How does this all work? Why is this UX better? The answer lies in a project from Microsoft with the codename (it seems to be becoming the official name though) “Metro”. Metro is a design language, based on certain principles. When they thought about UX they took a good long look around them and went out in search of metaphors. And they found them. The team noticed that signage in streets, airports, roads, buildings and so on are usually very clear and very precise. These signs give you the information you need and nothing more. It’s simple, clearly understood and fast to understand. A good example are airport signs. Airports can be intimidating places, especially for the non-experienced traveler. 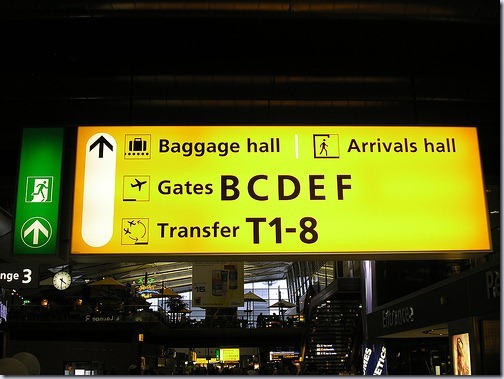 In the early 1990’s Amsterdam Airport Schiphol decided to redesign all the signage to make the traveller feel less disoriented. They developed a set of guidelines for signs and implemented those. Soon, most airports around the world adopted these ideas and you see variations of the Dutch signs everywhere on the globe. The signs are text-oriented. Yes, there are icons explaining what it all means for the people who can’t read or don’t understand the language, but the basic sign language is text. It’s clear, it’s high-contrast and it’s easy to understand. One look at the sign and you know where to go. The only thing I don’t like is the green sign pointing to the emergency exit, but since this is the default style for emergency exits I understand why they did this. 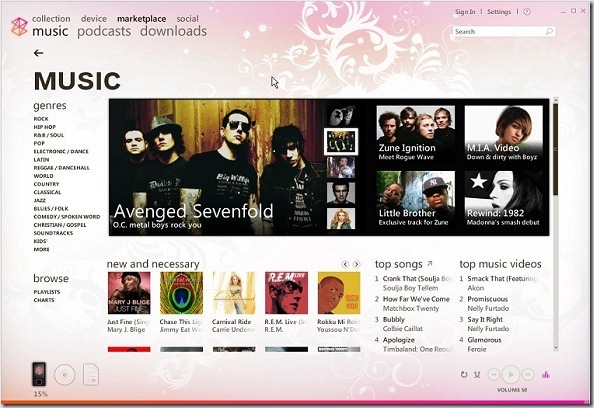 If you look at the Zune UI again, you’ll notice the similarities. Text oriented, little or no icons, clear usage of fonts and all the information you need. These are just a couple of the principles, you can read the whole philosophy behind Metro for Windows Phone 7 here. These ideas seem to work. I love my Windows Phone 7. It’s easy to use, it’s clear, there’s no clutter that I do not need. It works for me. And I noticed it works for a lot of other people as well, especially people who aren’t as proficient with computers as I am. You see these ideas in a lot other places. Corning, a manufacturer of glass, has made a video of possible usages of their products. It’s their glimpse into the future. You’ll notice that a lot of the UI in the screens look a lot like what Microsoft is doing with Metro (not coincidentally Corning is the supplier for the Gorilla glass display surface on the new SUR40 device (or Surface v2.0 as a lot of people call it)). The idea behind this vision is that data should be available everywhere where you it. Systems should be available at all times and data is presented in a clear and light manner so that you can turn that data into information. You don’t need a lot of fancy animations that only distract from the data. You want the data and you want it fast. This is what I believe the future will look like. Of course, not everything is possible, or even desirable. But it is a nice way to think about the future . I feel very strongly about designing applications in such a way that they add value to the user. Designing applications that turn data into information. Applications that make the user feel happy to use them. So… when are you going to drop the battleship-gray designs?